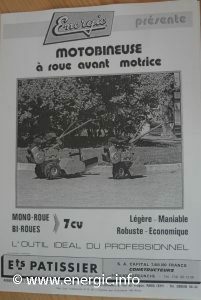 A Motobineuse for professional use with a large 7cv engine/moteur. Single wheel or twin wheel formation. Strong and robust for larger jobs.